People who started making movies again in Pakistan with confidence and fresher content include Wajahat Rauf too. His road trip comedy Karachi Se Lahore starring Shahzad Sheikh, Ayesha Omar, Yasir Hussain and Ahmed Ali Akbar was a surprise hit. The film then had a sequel named starring Saba Qamar and Yasir Hussain. 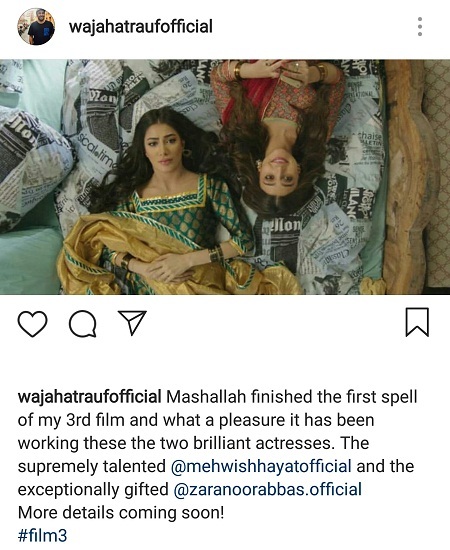 He has also made his first web series starring Mehwish Hayat, Azfar Rehman and Asad Siddiqui which has just released. Well since the first spell of the movie is already done, an announcement will not be behind. Let’s see whether it is Karachi Se Lahore 3 or a totally different movie this time for Wajahat Rauf!